The year round near-constant temperatures of DePuy’s, Armstrong’s, and Nelson’s Spring Creeks prevent the formation of ice that plagues many other fisheries in the state and are the best Winter fly fishing option near Bozeman, MT with our Montana fly fishing guides. Winter rod fees are a bargain and a rare sunny day in the winter can result in an excellent midge hatch. That’s right, winter dry fly fishing. It does happen. The DePuy’s Spring Creek property owners also provide anglers with access to a warming hut right at the Eva’s run access where a well tended-to fire can always be found to warm up frigid bones. This is the best option for a Winter guided fly fishing trip in Montana if already in the area skiing at either Bridger Bowl or Big Sky Ski Resort near Bozeman, MT or Big Sky, MT. 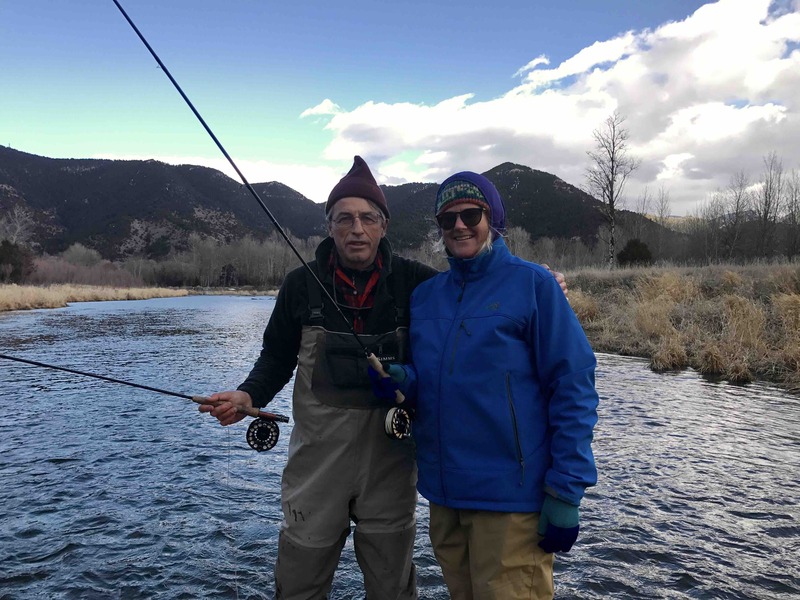 One can expect shorter fishing days even on the best of weather days in the winter, but DePuy’s Spring Creek offers the finest winter fly fishing in Montana to be found. The fly fishing is mostly with midge patterns. Nymphing can be great and on the sunniest of days fish will be rising.